Terror victims' representative says Israel cannot keep transferring funds to PA while it pays terrorists who murder Israelis. MK Dudi Amsalem, wants to hold another discussion on the law to offset the salaries of terrorists from the money transferred from Israel to the Palestinian Authority. Attorney Aryeh Arbus, who represents terror victims and even Palestinian Arabs who were tortured by the PA for suspected collaboration with Israel, referred to MK Amsalem's request in an interview with Arutz Sheva. "This proposal began with the initiative of MKs in the coalition and in the opposition who said that it is no longer possible to tolerate a situation in which Israel finances terrorists who murder its citizens," Arbus said, adding that "there is no dispute that Israel is part of the terror financing mechanism. This is only a financing of terror, but rather a mechanism that spurs terrorist activity." Arbus spoke of the meetings of the Knesset Foreign Affairs and Defense Committee, which he attended, in which there was agreement to promote a bill by MKs Ohana and Stern. However, the government sought to put aside the privately introduced bills in favor of creating its own bill to deal with the issue of the PA's payments to terrorists. "There is no dispute that the government has the right to freeze these funds that are transferred as part of the relationship between the states," Arbus said. "The government also did this when there were large waves of terror. The government loudly announced the freezing of funds, but later the money was released retroactively, meaning that the PA knew it had a deposit with the Israeli government." 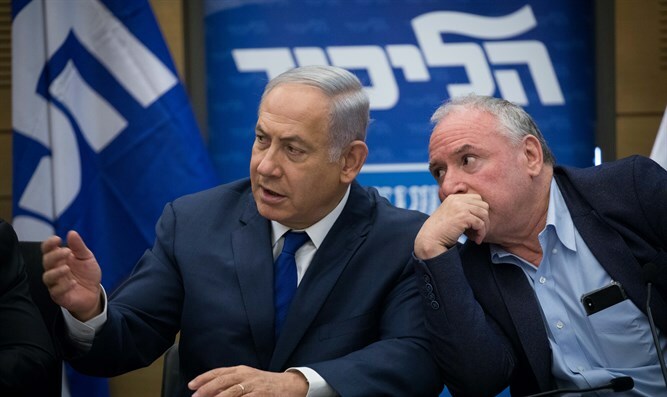 "In the discussions, all the members of the Knesset Foreign Affairs and Defense Committee agreed that the introduction of this clause is a complete castration of the law." he noted. He recalled that with the increase in kite terrorism, the prime minister announced a directive to examine the offsetting of the cost of kite-terror damage from PA funds. To Arbus, it now appears that alongside the declarations of this kind, the government and the prime minister are watering down the ability to offset terrorist funds. "We all know that MK Amsalem is acting against his conscience, but in accordance with the position of the prime minister. The prime minister wants to benefit from the fruits of the declaration that he is freezing terror funds. But on the other hand he is thwarting the move and granting veto power. It was clear to everyone that when it came under government authority there would be pressure on the government and the money would be returned. Only tough legislation without discretion and without exceptions will stop this situation in which we finance terrorism. "On the moral level, there is no circumstance and no situation in which we will finance our own murder."